Shane brings with him the kind of leadership skills and results-oriented focus that AireSpring thrives on, as we continue to set the industry standard for channel program execution. AireSpring, the award-winning provider of cloud communications and managed connectivity solutions, is pleased to announce that Shane Speakman has joined the company as the newest member of its executive team. Shane joins the company in the newly created position of VP of Channel Strategy. In his new role, Shane will serve as a key member of the leadership team for AireSpring’s North America Channel organization offering analytical insight into actions and programs that drive sales productivity, performance and results. He takes on broad responsibility for the channel sales process, technology, administration, analytics and reporting. Throughout his career, Shane has built a reputation for success, working with master agencies, VARs, and MSPs. Known for his experience in talent development, technical trainings, driving KPIs, and managing high profile relationships with master agencies, he comes to AireSpring from Zayo Group where he led the channel management team and served as National Director of Business Development. Previously Shane served as Vice President of Sales at Dynamic Network Advisors, and National Partner Sales Manager at XO Communications, in addition to serving as Senior Manager for Account Development Teams at business intelligence (BI) software provider Domo, Inc., leading a team of over 30 in one of the fastest growing SaaS companies ever. 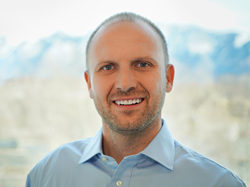 Shane studied Business Administration and Management at Brigham Young University (BYU) and holds a B.S. degree in Business Management from Utah Valley University. AireSpring channel partners are invited to meet with Shane this week in the AireSpring booth (#512) at IT EXPO, February 14 through 16 in Ft. Lauderdale, FL.